It’s February again and that means Valentine’s Day is right around the corner. Here in the academy, it’s also the season of Monol Magic! Students may have found the right one in a person called ‘classmate’, so it’s the perfect time to hang out together for those feelings to bloom like the flowers just in time with Panagbenga! Love is beautiful and so is art! As a student, a museum date is very fulfilling in both romantic and academic aspects. You get to immerse yourself in art, discover different cultures, and spend quality time with your partner. Situated at Km 6, Asin Road, the museum holds the works of national artist Benedicto Cabrera, hence the name BenCab. Here you’ll also find exhibits from other artists, as well as the famous erotica gallery and a garden where you can stroll around. To finish it all off, you can grab a bite to eat at the museum’s Cafe Sabel, named after BenCab’s muse in his paintings, where they serve home cooked dishes with farm fresh ingredients. It’s a given that Baguio’s scenery is definitely a feast for the eyes. Plus, with the outdoors, there’s so much to discover! Step outside campus and enjoy a lovely picnic under the pine trees in Camp John Hay, and afterward take part in trekking an eco-trail and zip lining. If you’re up to a challenge, you can also try hiking popular mountains near Baguio like Mt. Yangbew/Jumbo or Mt. Kalugong, both located in La Trinidad. If you’re into simple and close to town activities, you can always ride a bike and go boating in Burnham Park. This date idea is like the equivalent of the traditional ‘I love you!’ plus it’s a must-experience in Baguio. Don’t forget to try out Burnham delicacies like ice cream and ice-scramble. As they say, food is a love language, and Camping Date located in Legarda Road translates that into Korean cuisine and unique dining experience. Customers ‘camp’ indoors while enjoying specialties such as Korean chicken and pizza. It’s both a gastronomical adventure and a date to remember. It’s also a nice change of pace from campus food. But if you really want to treat your partner to some chocolate for the heart’s day, Tsokolateria (Upper Session road) is a great cafe where you can enjoy the best Filipino hot chocolate. It’s made from roasted cacao beans and you can partner it with mouth-watering food from their menu. To top it all off, you can celebrate the end of a wonderful date by grabbing a bite of cake. Vizco’s, located at Session Road, is famous for their cakes especially their Strawberry Shortcake. A sweet ending to a delightful Valentine! Unlike other cities in the country, Baguio has all the positive stories about taxi drivers. There are times that you can get scammed in Manila by drivers who will ask fare so much higher than usual and some won’t give your change no matter what the amount is. That never happens in Baguio. 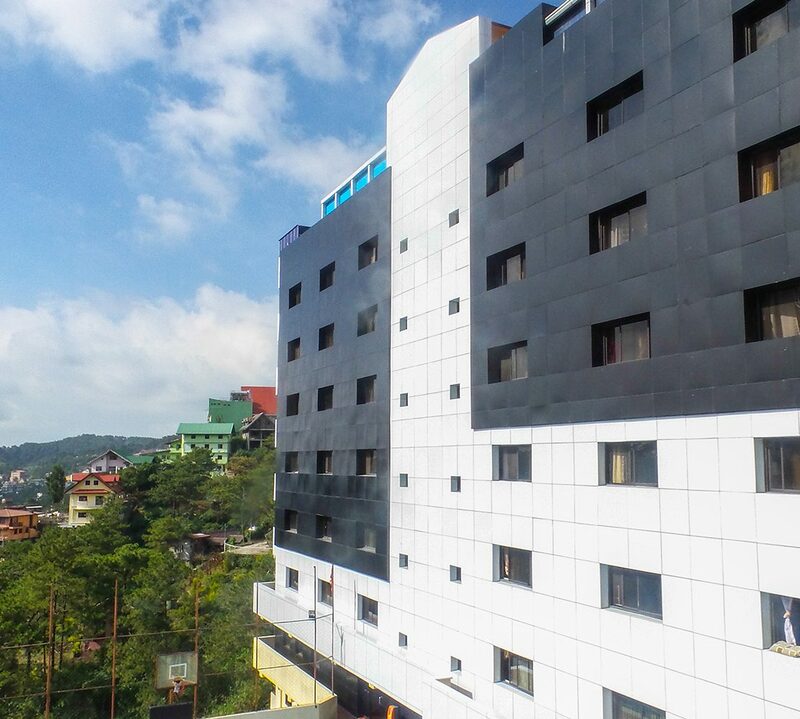 The mountain city of Baguio has gone viral on social media for a lot of times, and its fame is not just about its beauty, festivities, and cold weather – it’s about the honesty of our taxi drivers, who makes your travel safe and fun. Paul William is a taxi driver who returned a smartphone to the owner. According to Sofia Wisdom, the passenger, she left the phone inside the cab by accident. Using her phone’s son, she called her number and the phone kept ringing as if no was picking it up. After two hours, someone called from her own phone saying that she could retrieve it from a store near her house. It turned out that Mr. William didn’t know how to use the modern phone. He left the phone ringing while he tried to go back to the owner’s house expecting someone to get the phone from him. When this didn’t go as he expected, he parked the taxi to a nearby store and asked someone to use the phone and call the owner, Sofia, who commended William’s virtue. Like William, Renato Campos Hafalla returned the smartphone to the visitors hailing from Bacolod and Bohol, Xyrah Basillio and Carlo Matig-a. Based on the police report, the Iphone 5S fell down without the attention of the passengers just as they rode off the cab. They immediately informed the police about the incident, taking note that someone named Renato Hafalla replied when they texted the number. Without hesitation, Hafalla went to the station to personally hand the phone back. He received praises and admiration from the netizens. Perhaps the most famous of all is Regie Cabututan. According to a Facebook post shared by a businessman, his Australian friend, Trent Shields, left his baggage on a cab when he alighted Calle Uno Food Hub because of illness and lack of sleep. Thirty minutes after did Shields realize the baggage which contained his passport, Macbook Pro, Australian dollars’ worth P263,881 in pesos. Just as Shields was about to file a police report, Cabututan came back to give back the luggage. Shields cancelled his flight back to Australia to witness the ceremony the mayor of Baguio prepared for the Cabututan, who awarded the cab driver a Certificate of Scholarship, valued at Two Hundred Twenty Thousand Pesos (P220,000.00), to the six-month Coding Boot Camp at Vivixx Academy. Cabututan is now a graduate of the coding program, guaranteed to have an internship with an Australian company, leading to a high-paying employment. Because of these good histories of taxi drivers, Baguio continues to soar as a tourist-friendly destination. In fact, the city office also plans to make it an ordinance of a special commute for those that are drunk. The honesty of drivers is not limited to cabbies. Even jeepney drivers and vendors hold integrity and generosity. It is a city of kind people, whom you can comfortably get along. The logo for Baguio City’s Creative Cities Network was unveiled last Saturday at People’s Park by National Artist for Painting, Benedicto Cabrera, popularly known as Bencab. According to BenCab, he based the logo on a traditional Cordillera design for mountains. There are 3 mountain ranges: 5 on top, 3 in the middle, and two at the bottom. The colors of the middle mountain range were based on the Philippine flag. The top and the middle ranges depict the 7 traditional arts: architecture, sculpture, painting, music, poetry, dance, and performing arts. The CCN under the United Nations Educational, Scientific and Cultural Organization (UNESCO) also has 7 fields: folk art, design, film, gastronomy, literature, media arts, and music. The Baguio logo will be submitted to the UNESCO and the UNESCO seal will be paired with the Bencab-designed logo for Baguio in all posters and materials related to CCN. The logo will be launched at People’s Park on February 10. The Department of Tourism and the University of the Philippines Baguio, the two Baguio campaigners for the CCN, have created a Creative Cities Council which include BenCab for painting and Kidlat Tahimik for performing arts and other artists. The council created the “Creative Baguio” Exposition Fair at the People’s Park, which will highlight Baguio’s traditional and modern arts and crafts, particularly textile, metalcraft, painting, and carving. Creative Baguio opened on February 10 and will last until February 24 to give way to Panagbenga’s Session Road in Bloom. The Philippines’ summer capital has been hailed as a “creative city” by the United Nations Educational, Scientific and Cultural Organization (UNESCO) for its distinguished crafts and folk art last October. The Blue moon, super moon and blood moon all occurred the same time last night and Baguio City was all looking above for a glimpse of this rare phenomenon. What is the difference between the Blue Moon, Super Moon, and Blood Moon? There are two definitions of a Blue Moon. One is a type of Full Moon where the moon looks larger than usual and when the moon actually looks blue. The blue moon turns that way because of a rare type of dust in the atmosphere. A Supermoon happens when a Full Moon or New Moon is near the Moon’s closest approach to Earth. A Super Full Moon looks around 12% to 14% bigger than its counterpart, the Micromoon, and up to 7% bigger than an average Full Moon. The phenomenon whereby the moon in total eclipse appears reddish in color. People from Baguio were anticipating this event and they all did the same thing. People just looked up at the sky, took some photos, and stood in amazement! If you missed this rare phenomenon,the next super blue blood moon will happen on Jan. 31, 2037. Although its a long wait, phenomena like this one last night occur very rarely and it is good to anticipate this kind of things beforehand. The phenomenon lasted a full 1 hour and 14 minutes, leaving plenty of time for people to take in the breathtaking views. Let’s look at how the world viewed the blood moon! New Year’s resolutions are the perfect opportunity for everyone to start making the changes that they want for next week, next month, or anytime during this year. Well, Monol sat down with some of its teachers and students to ask them what changes do they want to make or what activities do they want to try. Have fun and read about their resolutions below. In celebration of the 70th anniversary of the friendship between the Philippines and Thailand, officials from the Baguio City Government inaugurated life-sized statutes of elephants last December 18 at the Botanical Garden as a gift from the government of Thailand. It is also given as a symbol of friendship between the Philippines and Thailand. The local government of Baguio thanked the Thai sculptors who built the statues in 4 month’s time in cooperation with a cement company in Thailand. The City Environment and Parks Management Office (CEPMO) also took charge of the landscaping, materials support, and security. Thailand Ambassador to the Phils. Thanatip Upatasing said that it took them 22 months to plan the project at the Botanical Garden. He further added that the elephants symbolize different characteristics of the City of Baguio and that 5 elephants were built because the number “5” is a lucky number in Thailand. The elephant is the national animal of Thailand and it is known as an icon of royalty. The Baguio City Website said that the inclusion of the concrete elephants near the old bear cage shall be reminiscent of the times when the Botanical Garden was still the Baguio City Zoological and Botanical Garden. In a press statement, the United Nations Educational, Scientific and Cultural Organization (UNESCO) said that the “Summer Capital of the Philippines” is one of 64 cities worldwide to be included in the Creative Cities Network. Baguio City is included in the crafts and folk art field. The UNESCO Creative Cities has highlighted its members’ creativity within 7 fields: crafts and folk art, design, film, gastronomy, literature, media arts and music. UNESCO (United Nations Educational, Scientific and Cultural Organization) is one the agencies of the UN (United Nations). Baguio, the gateway to the Cordilleras, was created as a hill station by the Americans more than a hundred years ago. The famous architect and urban planner Daniel Burnham set up the blueprint for the city, which was declared as the Summer Capital of the Philippines in 1909. National Artist for Visual Arts Benedicto “BenCab” Cabrera Eric “Kidlat Tahimik” de Guia. Benedicto Reyes Cabrera — or BenCab, as he is more popularly known is widely hailed as a master of contemporary Philippine art. The artist lives and works in Baguio City. One of the most prominent names in the Filipino film industry, Eric “Kidlat Tahimik” de Guia has garnered various accolades locally and internationally, including a Plaridel honorarium for Independent Cinema. He is dubbed by fellow filmmakers and critics as the “Father of Philippine Independent Cinema. The local woven clothes are an instant hit among tourists, who purchase them as souvenir items. The purchase provides supplementary earnings to local weavers of the Cordilleras. Another place to visit is the Easter Weaving Room if you are interested in native fabrics and other handicraft. Here one can witness the actual process of cloth weaving as practiced by the natives of the mountain provinces for ages. The City of Baguio is one of the best places to buy souvenir for your families back home or souvenirs like wood carvings such as “Barrel Man”. Notable handicraft items, which are often sold as souvenir items, include hand weaving, wood carving and metalcraft. Souvenir shopping is one of the most awaited part of every traveler when on a trip or vacation. Everyone wants to share what they seen and experience during their travels. Souvenirs vary from the local delicacies found only in the place that you are visiting or their specialty products such as bags, clothes, footwear and souvenir items like key chain, ref magnets, mats, bags and others. The Ifugao Wood Carvers’ Village or Itogon Wood Carvers’ Village is a tourist site in Baguio where workshops of Ifugao wood carvers can be found. High quality wood carvings of various types and sizes are sold at the village, usually at considerably lower prices than elsewhere in Baguio. A few kilometers away from in Baguio. Off the beaten path of the usual Burnham downtown crowds. The street is lined with woodcarving stores with some being carved on the spot. Wood carved products are 80% cheaper than that found in Manila or the stores in malls. It is worth the visit and shopping! Items made from real Kamagong wood, Anahaw, or Molave. Igorot, or Cordillerans, is the collective name of several ethnic groups in the Philippines, who inhabit the mountains of Luzon. Cultural elements common to the Igorot peoples as a whole include wood carving, weaving, metalworking, and rituals. The rich culture of the Igorot’s are what influences the design, materials, and practices of most arts and crafts in the city of Baguio. The subjects of the carvings vary widely but are mostly motifs closely associated with the Cordilleras, such as bul’ul or indigenous people and animals.